“A Hundred Thousand Welcomes” and then some! They all began with Taryn Harrison and her outstanding, professional, and dedicated colleagues. 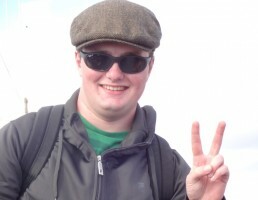 We were overjoyed with the opportunity afforded our son Liam, as he journeyed to Ireland this past summer. He truly embraced this unique and exciting chance to explore and engage in the beauty, culture, and excitement that is Ireland. Liam’s travels throughout Ireland, embraced both the modern and ancient aspects of this rich and varied island. He was enthralled by both the rich history and modern offerings this trip provided. He speaks fondly of the caring staff and the many new friends he made. He jokes about the bus “playlist” and the many other fun and memorable “craic” the group enjoyed. He will hold the memories of this trip deeply in his heart forever. We are so happy that he got to spend a month in Ireland-truly living and engaging with the people and the beauty of Ireland. He saw many of the areas his Irish immigrant grandparents explored in their youth. I know it was a dream come true for them to see him go to Ireland for the first time. The Irish Life Experience is to be applauded for their kindness and care towards these teenagers. He arrived and returned safe and sound. They provided structure and routine and did a great job securing the arrangements at each stop along the way. They also provided them room to explore a bit on their own (Always with a buddy and for limited spans of time.). This gave them some time to plan and figure out how to use this time to run an errand, go to the bank, or select gifts to bring home. Liam was very happy throughout his time in Ireland. As a rising senior in High School, I think the ILE has given him some extra confidence to travel away from home and be independent. I would highly recommend the ILE to any family looking to provide a quality travel experience abroad for their child. Taryn Harrison has been a tremendous resource to Liam and our family prior to and throughout the trip. She had great suggestions about fundraising and other ideas for making this trip a reality. It can be done! Start now! Next summer will be here before you know it! My other two boys, Owen and Aidan, are awaiting their turn for that once in a lifetime trip to Ireland. It is our hope they will join Taryn, her wonderful staff, and all the terrific other ILE teenagers to come on a future ILE adventure. If Liam, Tom or I can be a resource or support for this program in any way, please let us know. Many thanks, ILE!